We are excited to partner with OROGOLD Cosmetics to give away their 24K Deep Day Moisturizer designed to help reduce the appearance of expression lines, relax wrinkles and restore softness, smoothness, and radiance. This unique moisturizer melts into your skin on contact, and helps dry areas disappear without that greasy feeling. This powerful and rejuvenating combination gives your skin a rested and youthful look. It contains many beautifying ingredients such as Vitamin E, Vitamin C, and Green Tea Extract. OROGOLD Cosmetics is a unique luxury anti-aging skin care brand. In addition to offering top of the line products, OROGOLD prides itself on providing exceptional service, indulging clients in a spa-like experience. The exclusive high-end boutique offers one-on-one consultations with a specialist as well as complimentary facials in the VIP suite. OROGOLD is a global company and has opened 100 stores worldwide and can be found in over 23 countries across North America, Europe, Asia, and the Middle East. Deadline: You have until September 9th at 11:59 PM to enter. We will announce the winner on Twitter and Facebook on September 10th, so don’t forget to follow us to see if you’ve won! The Giveaway is open only to people living in the USA. This entry was posted in Beauty and Fashion, Giveaways, Lifestyle. Bookmark the permalink. 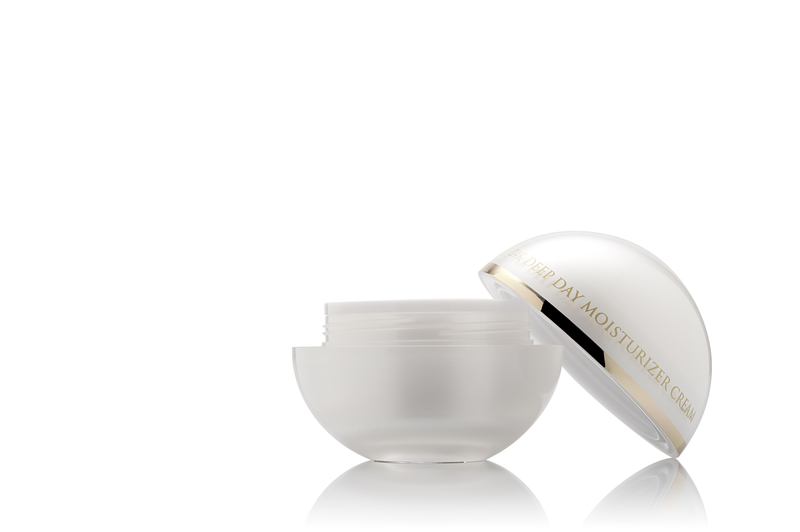 I have severely dry skin (especially during winter) so I would be thrilled to try Orogold’s 24K Deep Day Moisturizer. Thank you so much for the opportunity! I want to try this product because I heard great things about their products and would love to try at least one of them out! I live in a dessert, and my skin is super dry, and nothing I currently use is helping me!! I’m nearly 50 now, and in the past few years the expression lines and wrinkles have really begun to show, so I can’t wait to try this product for that reason! I have dry skin and fine lines and would love to try this product. I love orogold and I would love to have the 24k deep day moisturizer! Thy are fabulous! As I get older i find my skin to become more dry and nothing seems to help without looking greasy. I have read so many wonderful reviews of orogold products that I’d love to try it out! Thanks for the chance! I was just window shopping today, when this amazing lady marveled me with this products. She applied some of them, and I INSTANTLY noticed the change in my skin. So I ended buying the 24k Multi-vitamin deep feeling and the 24k dmae lifting firming cream. I will loooove to try the moisturizer now, and I’m sure that I will fall in love with it too. I’m definitely replacing all my face cream products that I used to use before, but that in reality didn’t give me the quality that I always dreamed about. I cant wait to tell all my girlfriends about it!! I have heard such wonderful things about the Orogold product line and would love the opportunity to try the 24k Deep Day moisturizer. I’m following The Expat Woman on Facebook and am looking forward to seeing their post and learning new ways to improve my skin. As I have gotten older, and dealt with health problems like neck cancer, my skin has paid a hard price for health. I recently was introduced to Orogold products on a trip out of town. The salesperson was very nice, and helpful, however, I just could not afford to purchase the products all at once. I instead got the 24k microdermabrasion. I would love to have something else from their collection! I love Orogold cosmetics. They have the nicest salespeople are always willing to help you out especially when you’re new to this whole thing like me. I’ve never seen products that work like this before. I’d love to have more of their stuff to share with my family! Admiring thhe time and energy you put into ykur blog andd detailed information you offer.